Up, up and AWAY! Travelling Without Moving is the sound of a band going global. It was the brand new album for 1996, and the plan was simple: everything BIGGER! The sound was bigger, the get-your-body-moving choruses were bigger (cue 'Cosmic Girl'), and the dance-filled videos were bigger. 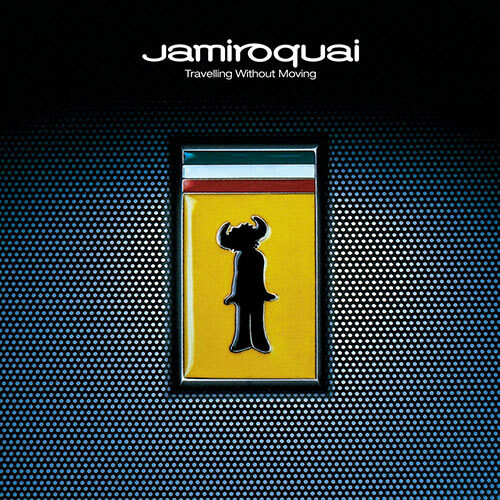 Jamiroquai even had to get a bigger trophy cabinet, mostly for the Jonathan Glazer-directed 'Virtual Insanity', earning four MTV Video Awards (including Best Video and Best Breakthrough video), a MOBO Award for Best Album, and the Grammy award for Best Pop Group or Duo. It was a bona-fide global hit strutting proudly into 12 million record collections, So, three albums in and the band haven't missed a beat.